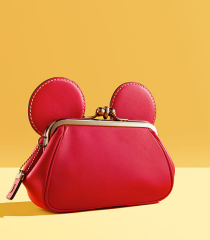 In honor of its 75th anniversary, American fashion house Coach has teamed up with Disney to launch a limited edition Mickey Mouse collection. 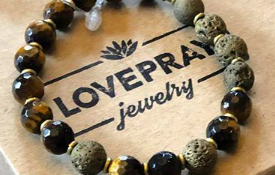 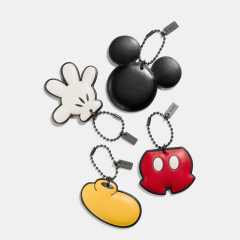 The result is an awesome partnership between two iconic brands with a playful spin on the classics. 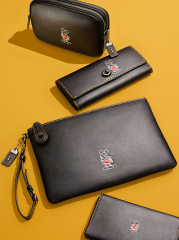 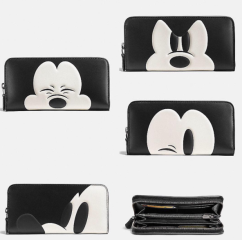 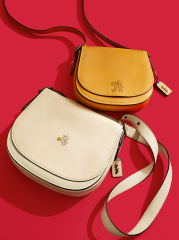 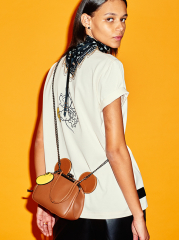 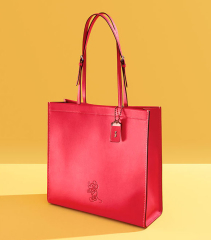 Disney animators created sketches for Coach, with exclusive artwork appearing on a range of Coach’s signature pieces: bags, backpacks, leather jackets, tees, charms, wallets, key chains, luggage tags, and sneakers. 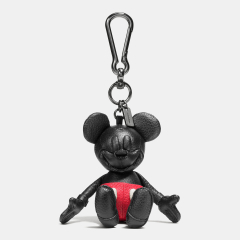 Collectible pieces like oversized black leather Mickey dolls and shearling beanbags complete the offering. 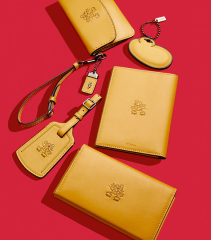 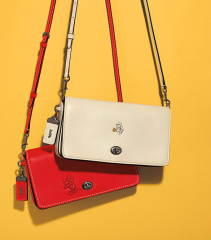 Join the #DisneyxCoach club and check out our favorite pieces in the photo gallery. 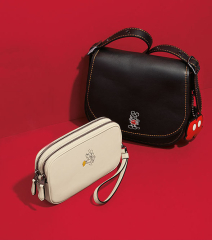 Bonus: if you click the little “i” button at the bottom of each photo, you can shop the Disney x Coach 1941 items in the story.